What happens when you get 126 Big Local areas, some 450 local residents, a long haired karaoke singer, a poet, a museum, zombies and any number of over-excited teenage community reporters together in central London on one of the hottest weekends of the year? Some kind of strange magic, that’s hard to explain unless you were there at the time. 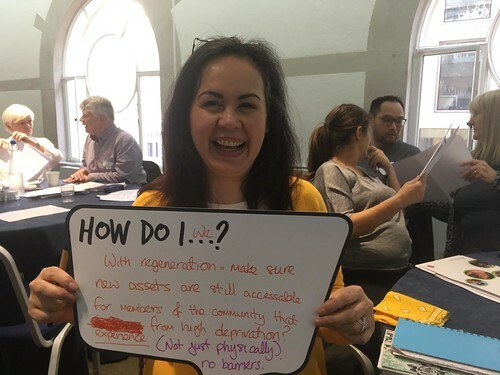 On 29-30 June all of them and more came together for Big Local Connects – the biggest ever gathering of Big Local areas since the programme was launched, some eight years ago. A two day mixture of celebration, workshops, networking, happenings and fun that captured a huge amount of the positivity, energy and - more than anything - the amazing sense of family that has defined Big Local from the outset. It wasn’t the first large scale Big Local event – arguably the successful programme of annual regional Spring Events provided a firm base from which to build. But what made Big Local Connects different (and bigger than all of our Spring Events put together), was the extent to which it was a creation of Big Local areas themselves. This wasn’t just a matter of having more Big Local partnership-led workshop sessions than ever before (though we did); rather it reflects the extent to which Big Local Connects bubbled with creativity, engagement and connection during the bits in between. When people could take time out from being talked at and instead spend time talking to one another. The value of moving from top-down training and networking to peer-driven learning is an insight that has driven the establishment of our initial learning clusters – on coastal communities, housing, legacy and youth violence. And – increasingly – it will underpin our wider investment in Big Local-wide learning. It’s what created such a brilliant and energetic atmosphere in London last weekend, and we’re looking forward to a lot more of it over the coming year.